San Diegans, if you've been waiting for the return of a farmers market in Mission Valley, your wait is over. 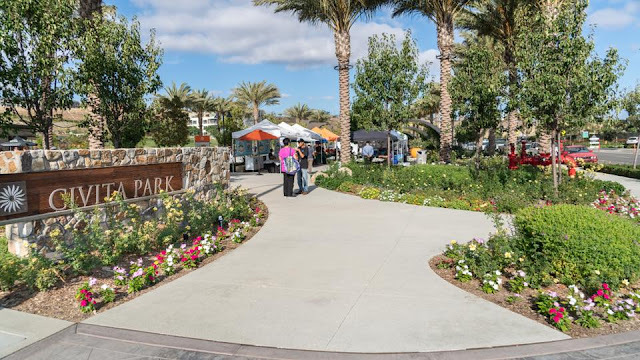 On Fridays from 3 to 7 p.m. you'll find the Mission Valley Farmers Market at Civita Park, just off Mission Center Road, north of Friars Road. The market is being operated by the San Diego Farm Bureau and just opened Oct. 5. The market is on a long, easy-to-navigate stretch of pavement in the park. Parking is easy, there are tables if you want to nosh on any of the variety of global dishes sold by vendors. And, when I was there, a clown was ready to face paint and Bruce Gemmell, co-founder and research director of the Art Science Complex held court at a table filled with paper and writing/coloring tools to work with kids and adults on art projects. But, of course, you want to know about the vendors. According to market managers Tasha Ardalan and Brandon Janiss, there are about three dozen of them--mostly people they work with at the other markets they manage around San Diego County. So, many will be familiar to regular market shoppers, including Da-Le Ranch, Majestic Garlic, Pacifica Culinaria, and Kawano Farms. I bought some beautiful young broccoli from IRC grower Felicia Venegas. I bought persimmons from Valley Center Growers, which also had some magnificent oranges (and they give huge orange samples, by the way). I had plenty of honey at home, but am eager to return to buy more from Bee Safe Honey, which also does safe and humane bee removal (it's how they get the honey). Need cheese? You'll find it at Thyme of Essence. You can start a succulent garden, or replenish your current one, with beautiful plants from Farmers Nerceri. Hungry or thirsty from shopping? You can travel the globe along this stretch of market. There's Full Belly Barbecue, SoCal Lemonade, House of Bao, Chilanga with Mexico City street food, Bam! Bun! with Filipino dishes--both traditional, like citrus-infused Chicken Adobo, and vegan, Barbecue Pulled Jack Fruit--and Little Someone Hong Kong Cuisine. Owner Syrus Kwan will make you a Hong Kong-style milk tea made with strong black tea and condensed milk. At Yipao Coffee, you can get free-trade Colombian coffee roasted in San Diego. Aya Cafe makes and sells banana brittle, kale chips, and walnut butter. Finally, for dessert, stop by Flora Bake Shop with the kids for gorgeously decorated vegan cupcakes baked by owner Camille Dumbrique. Or Donut, Hello's PB&J or S'mores mini donuts. According to Ardalan, the market is expected to grow as more vendors join the line up. She also noted that if you don't have enough cash to pay vendors, you can stop by the market manager's booth and use your credit or debit card to get market tokens. There is a dollar surcharge. The official farmers market address is 7964 Civita Blvd. Consider this post another chapter in my quest to identify ways to use excess sourdough starter when I do my weekly feeding. I've made cake, crackers, and biscuits so far. Unlike fresh starter, the pre-fed starter doesn't contribute much to rise. Its role instead is flavor. 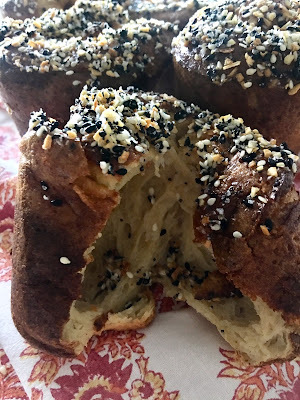 This week I've made popovers. 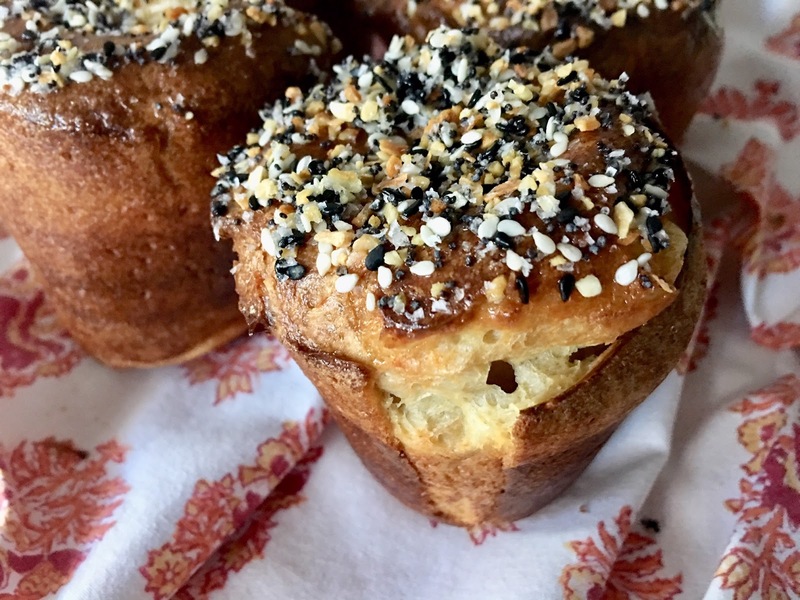 Who doesn't adore airy popovers? Along with the intriguing sourdough flavor these have, I've added something a little extra: everything topping--you know, the topping you find on bagels. You can find everything seasoning online at King Arthur Flour and locally at Trader Joe's. If you're not a fan, no worries. You can leave them naked and dunk into a gravy or sauce. You can make them a little sweet by topping them in cinnamon sugar. You could also top them with finely chopped toasted nuts with or without sugar. Be bold! Or not if you're a purist. 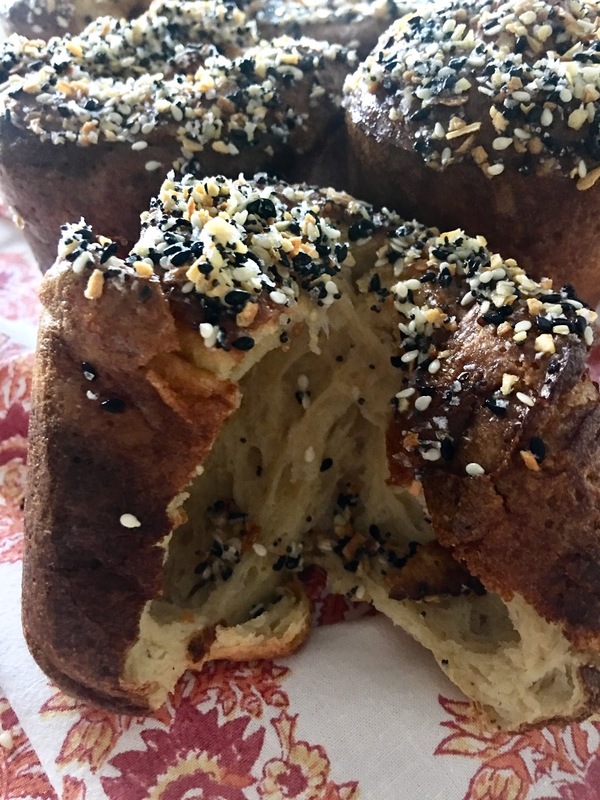 The other delightful aspect of these popovers is how ridiculously easy they are to make. You'll heat up milk until it's just warm--not hot! Then you'll combine the milk with eggs, the sourdough starter, and a little salt. Whisk in the flour--but don't over mix. Even a few lumps are just fine. This batter is very forgiving. Notice I used the word batter, not dough. This mixture is very loose--like heavy cream. Don't worry. It'll work just fine. It'll start baking in a very hot oven. After 15 minutes you'll turn down the heat and continue baking for another 15 to 20 minutes. Try as hard as you can to time this with when you want to serve the popovers because these guys demand being eaten right away. If you are going to add a topping, melt butter in a wide little bowl just before the popovers come out of the oven. Then pull them out of the cups, dip, and roll. 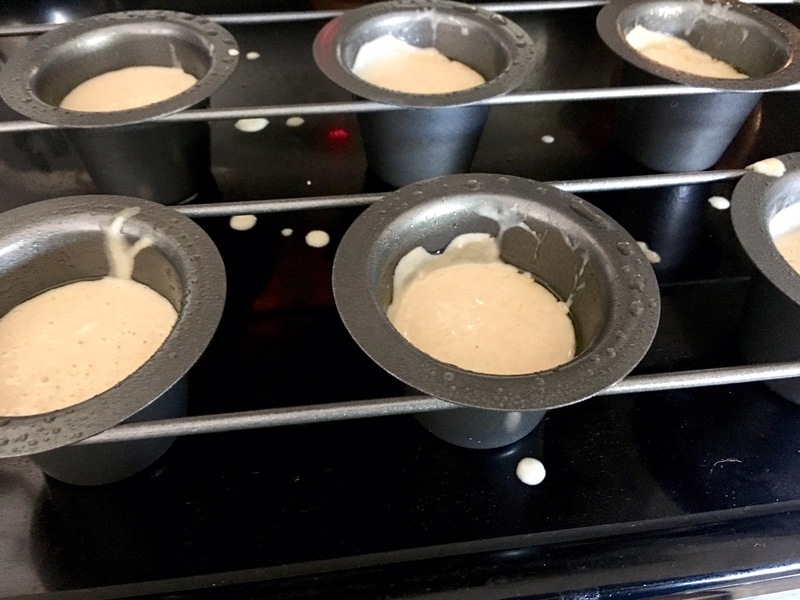 Preheat oven to 450° and add muffin or popover pan. Warm milk in the microwave or a small saucepan until it’s just warm to the touch. Combine warm milk with eggs, sourdough starter, and salt. Gradually whisk in flour until it just comes together. Don’t worry about eliminating all lumps. The batter will be loose, about the consistency of heavy cream. Remove hot pan from the oven and spray it thoroughly with non-stick pan spray or brush generously with oil or melted unsalted butter. Pour batter into the popover cups about ¾ of the way up. If you’re using a muffin tin, fill all the way to the top. Space the popovers around so each one is surrounded by empty cups to allow the popovers to expand while they bake. 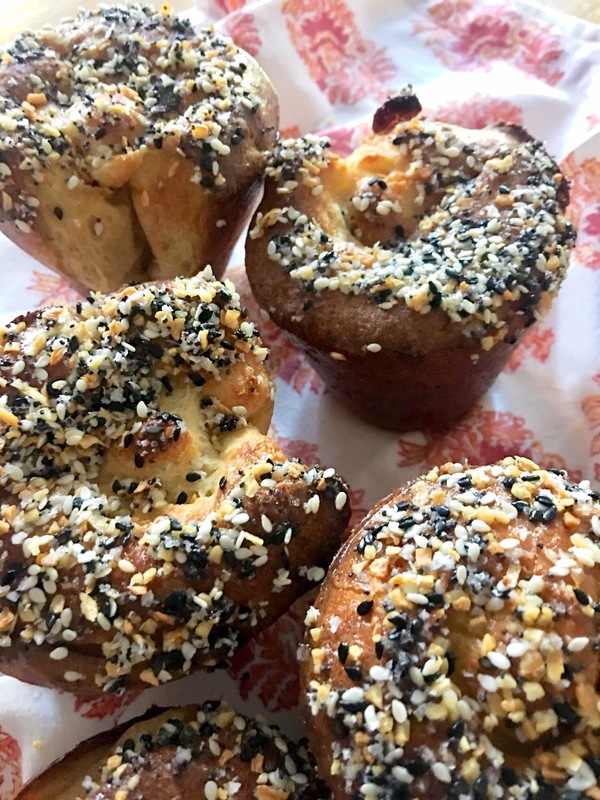 Bake popovers for 15 minutes, then reduce the oven heat to 375° and bake for another 15 to 20 minutes, until golden brown. 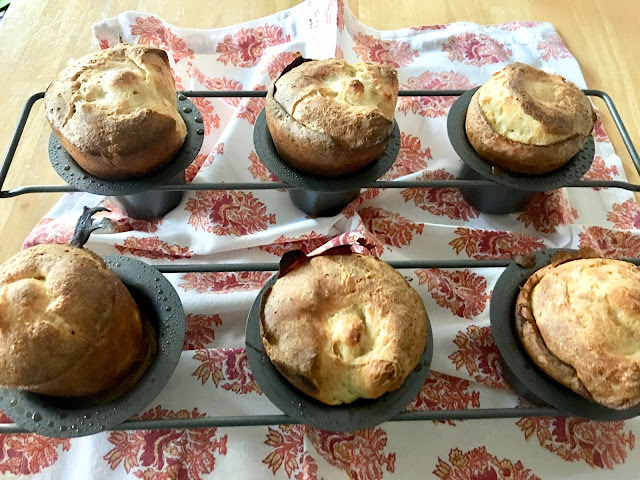 Remove the popovers from the oven. Dip the top into a small bowl of melted butter and roll in everything mixture. Serve immediately. This week marks my 30th anniversary of my move to San Diego from Los Angeles. I grew up in L.A., attended UCLA, and--after several post-college years living in New York--returned to L.A., where I worked for four years before deciding to relocate to San Diego. I still have a big place in my heart for my hometown, but the reality is L.A. is no longer the place I knew so well. Like any city, so much has changed and disappeared. It's the very definition of a city. So many of my personal landmarks are gone. Movie theaters and bookstores. Childhood restaurants like Mike's Pizza (best garlic rolls ever), the Encino Dupars, and the Encino Deli. Even neighborhood names have changed to become more hip. I know this from watching House Hunters and looking up places that I'd never heard of in the San Fernando Valley, where I grew up. But there's still one place I enjoyed that's still there--and still has its landmark item on its menu. The place is a restaurant called Hugo's and the dish is Pasta Mama. Back in the day Hugo's had only one location: in West Hollywood. 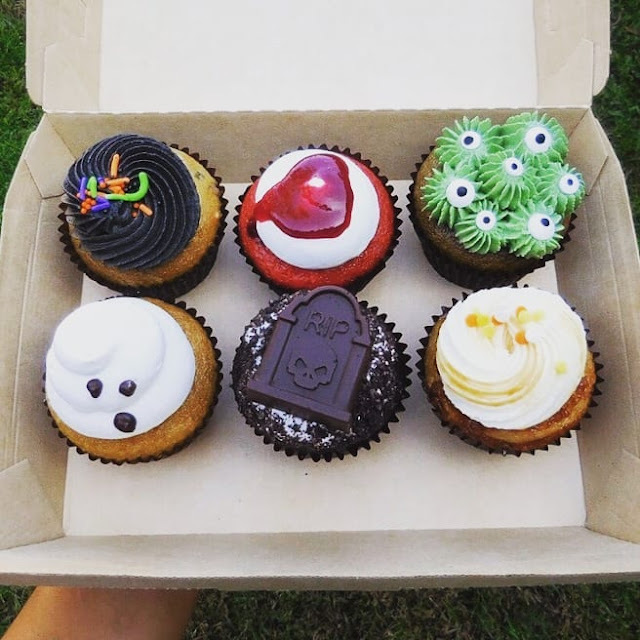 Now it's also in Agoura Hills and Studio City. I, of course, went to the original one in West Hollywood. I don't know why I started thinking about this dish recently. I know I loved it, but I hadn't sought to recreate it. But why not? 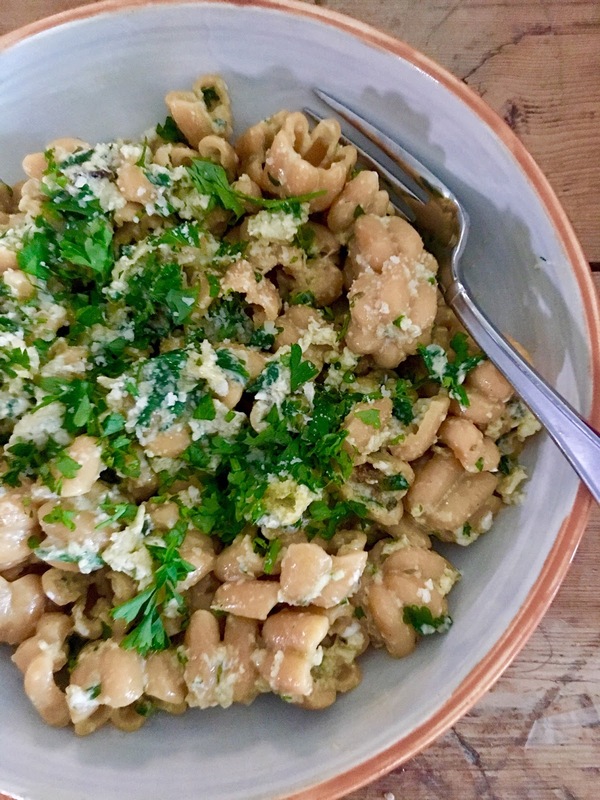 Pasta Mama combines the best of breakfast and dinner: pasta and scrambled eggs. 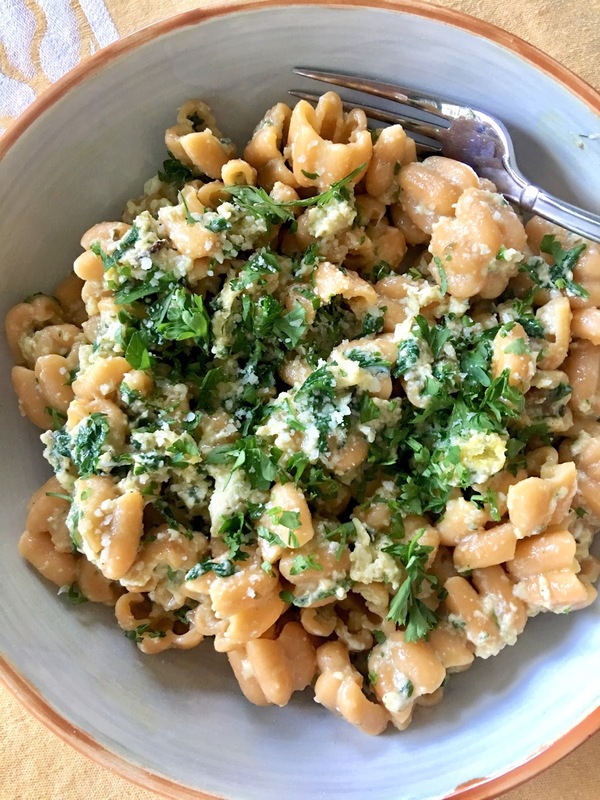 Toss in some garlic, herbs, and grated parmesan cheese and you've got a dish that works from morning till night. It's a compound comfort food dish since it's a mix of two others. And, there's no reason you can't riff and add other ingredients. Bacon, of course, but also roasted shrimp. Seasonal herbs. Or vegetables like spinach, mushrooms, Swiss chard, tomatoes. Or lush, gooey cheeses. You can see where I'm going here. Mama's flexible. I scrounged around online to refresh my memory and found lots of versions of this dish. Here's my "best of" version. And I made it using, not spaghetti, but a really cute seasonal butternut squash zucchette pasta I just found at Trader Joe's. The trick to making this dish is to have all your ingredients prepped in advance. Once the pasta is cooked it all goes very fast. So mince your garlic, place your garlic powder, oregano, seasoning salt, and onion powder together in a little bowl, chop your parsley, beat the eggs, and grate your Parmesan cheese. Ready? All you need to do is cook the pasta (and save the hot pasta water). Heat a sauté pan, add the oil or butter, and then add the garlic and seasonings. Stir it around for up to two minutes, then add the parsley. Mix together and add the pasta and hot pasta water. If you're reheating pasta, use hot water. Once it's all stirred together, add the beaten eggs. Pretend you're scrambling them, but with lots of other goodies added. Once the eggs are just cooked through, stir in the Parmesan cheese. If you're adding other ingredients, add them when it makes sense. Cooked bacon should be chopped into pieces and added at the end to maintain the texture. Same with the vegetables--or cook them in advance if they need it. Add a cheese that will soften and run after you've cooked the eggs. You get the idea. Just know you need to serve it immediately. It's not a dish that sits around well. Enjoy--and happy San Diego anniversary to me! Cheers, L.A. I still love you--just from a distance. 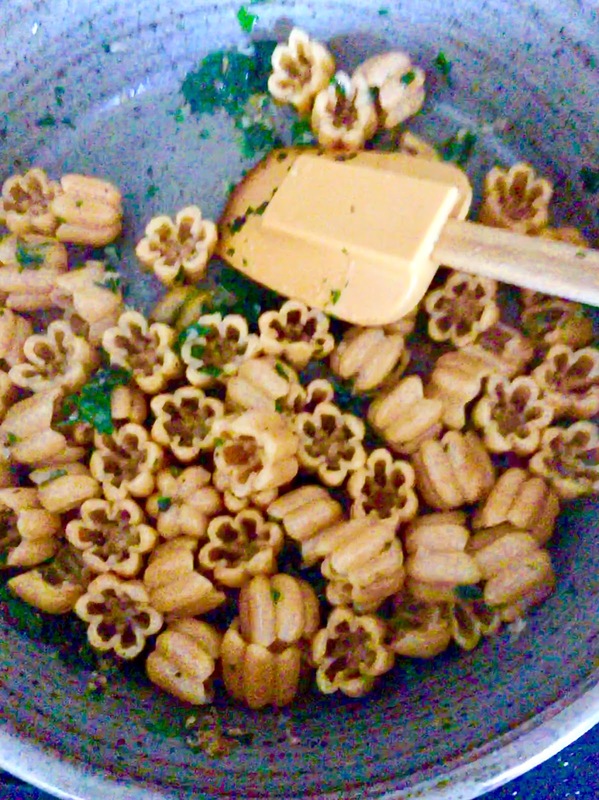 Cook pasta according to directions or measure out leftover pasta that you’ve warmed up. Turn on burner to medium. Pour oil (or melt butter) in a 10-inch sauté pan. 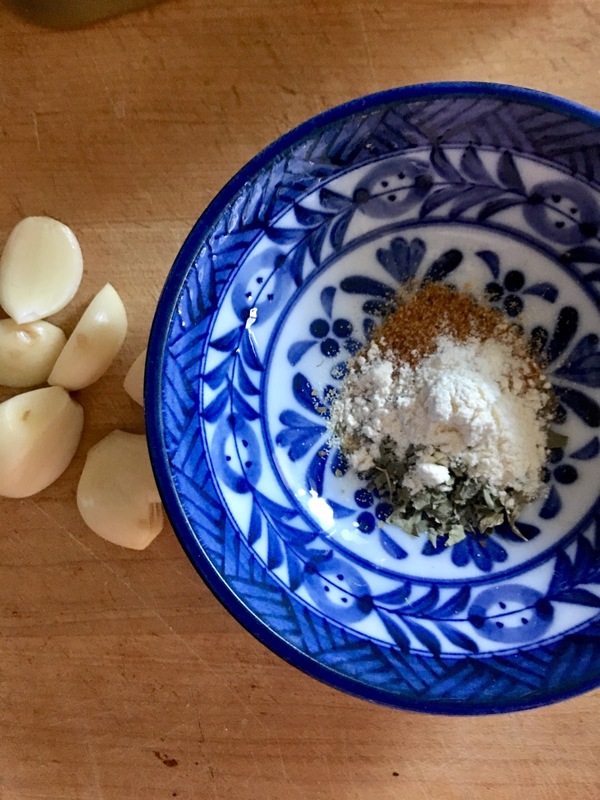 Add minced garlic and the seasonings; sauté together for one to two minutes. Stir in fresh, chopped parsley. Then add pasta with 1 tablespoon hot pasta water. Add beaten eggs and stir in well. Add Parmesan cheese, mix in and cook through. Serve immediately. When it comes to condiments I have to admit, I think I'm a hoarder. Some of it has to do quite simply with my food writing. If I'm at a farmers market or ethnic market and see something I want to try and then write about, it goes home with me into my fridge or pantry. If I discover some marvelous sauce from a chef, I want to make it for my kitchen. One of my favorites is preserved lemon, which, yes, I've written about. 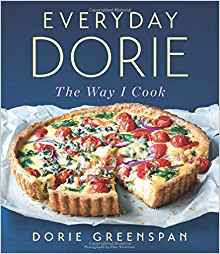 So, when I got Dorie Greenspan's new cookbook, Everyday Dorie: The Way I Cook (HMH/Rux Martin Books, $35), which I'm writing a story about for the San Diego Union-Tribune, and I saw that she had a recipe at the back of the book she calls Lemon "Goop" I had to check it out. It's like preserved lemons, but it's a jammy-like condiment. And it's made with both salt and sugar. And in making it you also get lemon syrup. So it's also a two-fer. Lemon goop and syrup ares easy to make. You're going to peel the zest from 6 large lemons, then cut off the top and bottom of each lemon and cut off the rest of the rind and pith so all that's left is the fruit. From there you'll section the lemons. Then you'll combine sugar, salt, and water in a pot and bring the mixture to the boil. Add the zest and the lemon sections, bring back to the boil, then lower the heat so that it just simmers. Leave it for about an hour. Once it's cooked down and nice and syrupy, remove it from the heat, and strain the syrup from the lemon solids. Puree the solids in a food processor or blender, using some of the syrup to create the texture you want. That's it. Lemon goop is just the acidic/sweet note you want to hit to balance the richness of a fatty fish. Or a pork chop. Or roasted chicken. The syrup can play all sorts of roles. Dorie adds it to vinaigrettes, as she mentions below. How about mixing it with garlic and ginger and a little neutral oil to brush onto shrimp for roasting? Or add to a seafood salad? The great thing is that you have plenty of time to consider how to use the lemon goop and syrup because it lasts in your refrigerator for ages--like forever--until you use it up. Just keep it tightly covered. Oh, and one more thing. 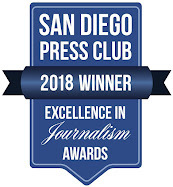 Dorie Greenspan will be visiting San Diego on November 11. 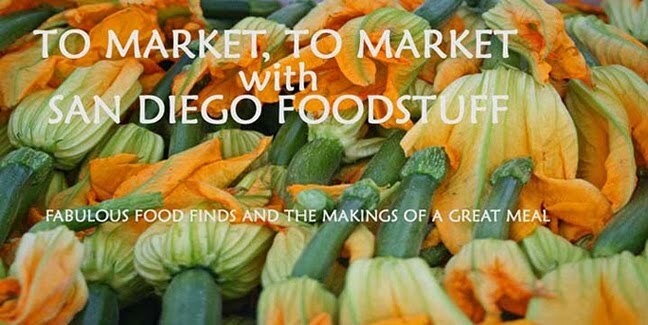 She’ll be appearing first at The Chino Farm in Rancho Santa Fe from 10:30 to 12:30 as part of the Good Earth/Great Chefs series to sign books purchased at the event. The event occurs rain or shine and is free to the public. In the evening, I’ll be interviewing her at the Lawrence Family JCC, starting at 5 p.m. General admission tickets are $18 and can be purchased online at www.lfjcc.org. 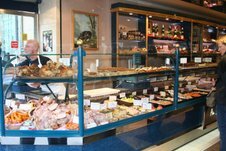 I had something like this years and years ago at a restaurant near Le Dôme in Paris. It was served with tuna; perhaps tuna cooked in olive oil, I don’t remember. What I do remember is that I loved it, went home, tried to re-create it and came up short. The second time I had it was at a Paris bistro called Les Enfants Rouges, where the chef, Daï Shinozuka, served a dab of it with fish. 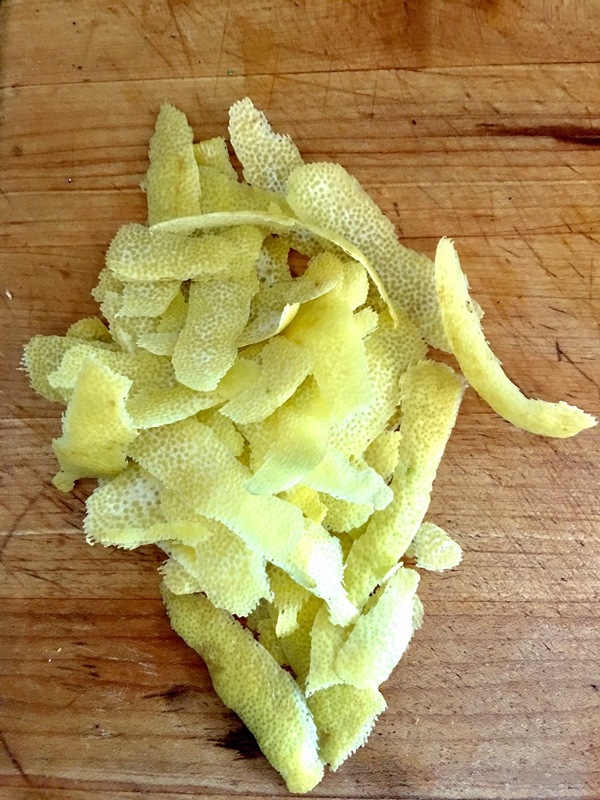 Daï gave me a recipe — and this is based on it — but his started with preserved lemons. The recipe I finally came up with uses ordinary lemons and finishes up as a glossy jam that tastes a little like preserved lemons but is sweeter and more complex. You’ll have more syrup than you need to make the jam — aka “goop” — but the syrup is as good as the jam. I’ve added it to vinaigrettes (page 307), roasted beets, sautéed green beans, tuna salad, chicken salad and more. It’s a terrific “tool” to have in the fridge. I serve the goop with fish and shellfish, pork and chicken. To start you on the road to playing around with this, try it on Twice-Flavored Scallops (page 193). WORKING AHEAD Refrigerate the goop and syrup separately until needed. In a tightly covered container, the syrup will keep forever, and the goop’s lifespan is only slightly shorter. 1. 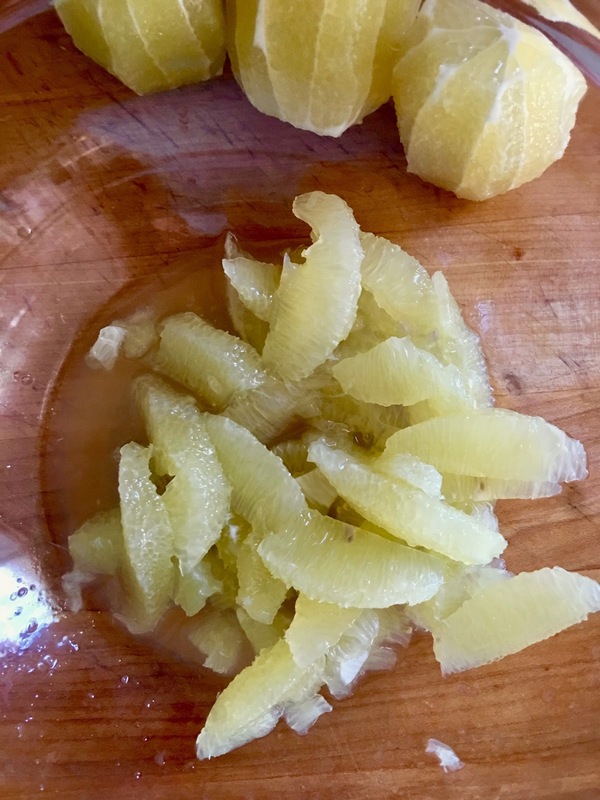 Using a vegetable peeler or small paring knife, remove the zest from 3 of the lemons, taking care not to include any of the white pith; set aside. 2. One by one, cut a slice from the top and bottom of each lemon, cutting deeply enough to reveal the fruit. Stand the lemon upright on a cutting board and, cutting from top to bottom, slice away the rind and pith, again cutting until the fruit is revealed. Slice between the membranes of each lemon to release the segments. 3. Bring the water, sugar and salt to a boil in a medium saucepan. Drop in the segments and reserved zest and bring back to a boil, then lower the heat so that the syrup simmers gently. Cook for about 1 hour, at which point the syrup will have thickened and the lemons will have pretty much fallen apart. It might look as though the lemons have dissolved, but there’ll still be fruit in the pan. Remove from the heat. 4. 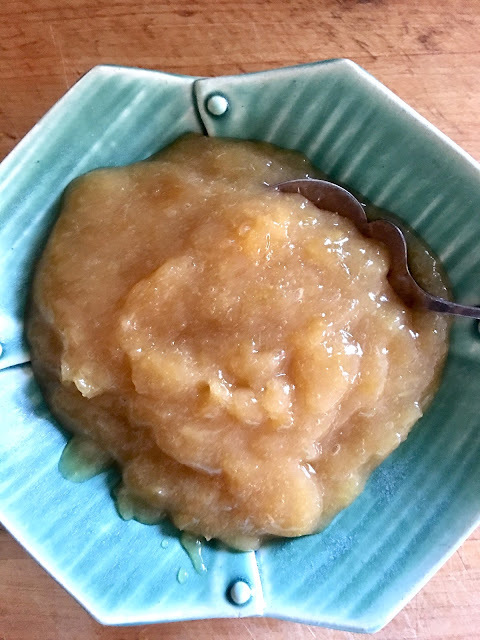 The fruit needs to be pureed, a job you can do with a blender (regular or immersion) or a food processor; if you have a mini-blender or mini-processor, use it. 5. Strain the syrup into a bowl and put the fruit in the blender or processor. (Save the syrup in the bowl!) Add a spoonful of the syrup to the lemons and whir until you have a smooth, glistening puree. Add more syrup as needed to keep the fruit moving and to get the consistency you want. I like the goop when it’s thick enough to form a ribbon when dropped from a spoon. Thicker is better than thinner, because you can always adjust the consistency with more of the reserved syrup. 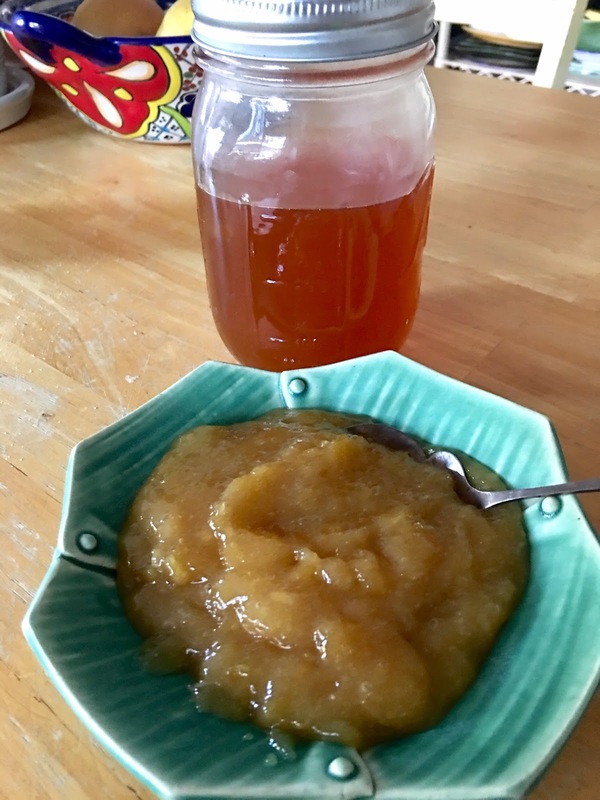 LEMON “GOOP” AND SYRUP is excerpted from Everyday Dorie © 2018 by Dorie Greenspan. Photography © 2018 by Ellen Silverman. Reproduced by permission of Rux Martin Books/Houghton Mifflin Harcourt. All rights reserved. My last post was about Imperfect Produce, a company selling "ugly" produce to consumers to keep them from heading to the landfill. This week's post also addresses food waste--but from a slightly different perspective: Celebrating chefs and organizations that prepare dishes and cocktails using food that would otherwise be tossed out. 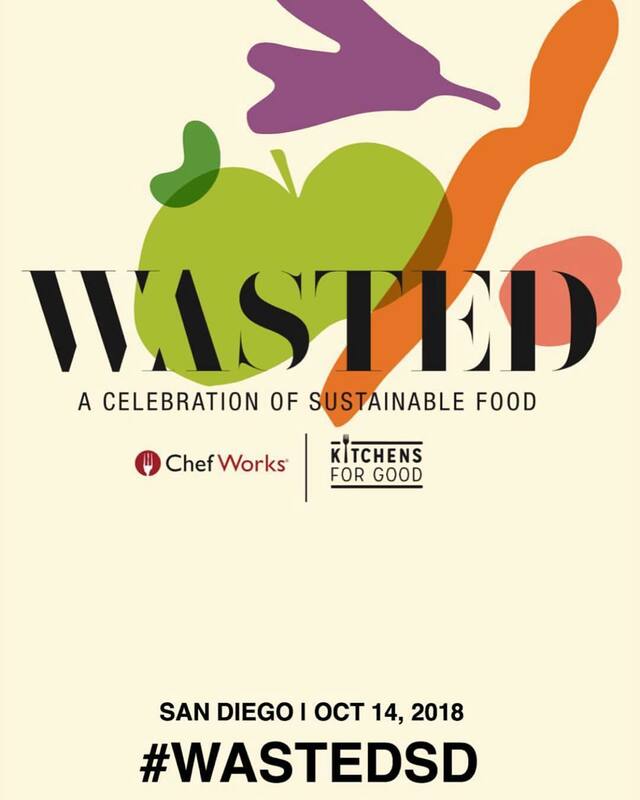 Wasted: A Celebration of Sustainable Food is an event being held by Kitchens for Good on October 14 from 2 to 6 p.m. at Liberty Station. It's going to feature a competition between 30 local and national chefs and mixologists. Among them are James Beard Nominee Javier Plascencia, Bravo TV's Top Chef Katsuji Tanabe, Executive Chef Davin Waite of Wrench and Rodent, Bravo TV's Top Chef Brian Malarkey, Sugar & Scribe's Maeve Rochford--who was Food Network's Holiday Baking Champion, Elizabeth Faulkner, Danilo Tangalin, Keith Lord, and Martin San Román. Kitchens for Good got involved in this project because it reflects core values of their mission. "We have long been inspired by creative challenge of reducing food waste, Aviva Paley, Kitchens for Good's co-founder and senior director explained. "We do this everyday in our kitchen by taking surplus and cosmetically imperfect produce and turning it into gourmet meals for hungry families. We wanted to extend that challenge to chefs and have them reimagine the possibilities of food that might otherwise go to waste. 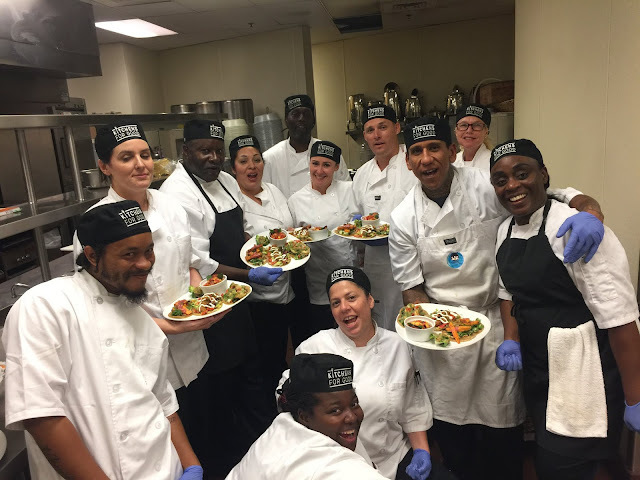 Partnering with Chef Works made this all possible with their $25,000 grant, and their incredible connections to the top chefs across the country." Chefs, of course, are always keen to cut waste. Even if it isn't part of an environmental ethos it's critical to their profit margins. So, who better to learn from? Wasted attendees can see how chefs can repurpose day-old bread, bruised fruit, bits and pieces of leftover vegetables and meats. And then we can vote on the winning dishes and cocktails based on these and other underutilized foods. Ideally we'll also be inspired to rethink how we address food waste in our households. Another reason to attend Wasted is to celebrate the programs of Kitchens for Good, a local non-profit that trains men and women previously perceived as unemployable for careers in the culinary industry. These are students who had been in the foster care system, homeless, or incarcerated and who are now earning a place in San Diego's food establishment. In just two-and-a-half years Kitchens for Good has graduated 162 students and has a 90 percent post-graduation employment rate. Among the skills the students learn is food sustainability. "Our culinary students learn about food sustainability from day one in their program. They are taught how to compost any scraps in the kitchen, how to use the whole product and avoid waste, and how to use by products to create things like stocks, sauces, and soups. Further, our students are exposed to the huge amount of food waste in San Diego, as they take thousands of pounds of surplus produce that we rescue from wholesalers and farmers markets, and turn it into thousands of nutritious and delicious meals for hungry San Diegans," Paley said. 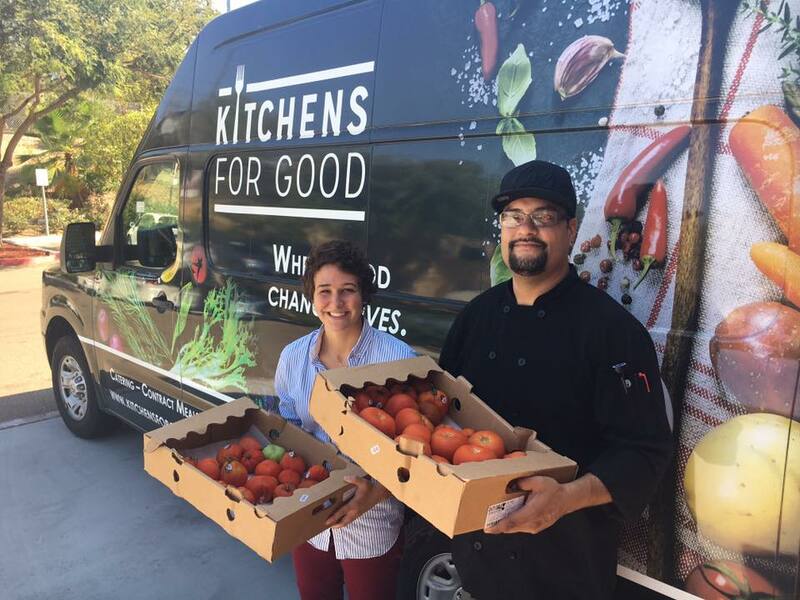 In fact, Kitchens for Good has rescued 86,591 pounds of surplus food and turned it into 121,227 nutritious meals for the homeless, at-risk youth, and homebound seniors. At Wasted, Kitchens for Good culinary students will be paired with the competing chefs to help prep the dishes. Along with the food and cocktail competition, there will be live entertainment and a silent auction. Proceeds will support Kitchens for Good. General admission tickets are $90 and can be purchased online here. The event will be held at Luce Court and Legacy Plaza in Liberty Station at 2641 Truxton Road.